World Network of Island and Coastal Biosphere Reserves - Zero Plastic: call for action. EuroMAB Conference Dublin 2019. 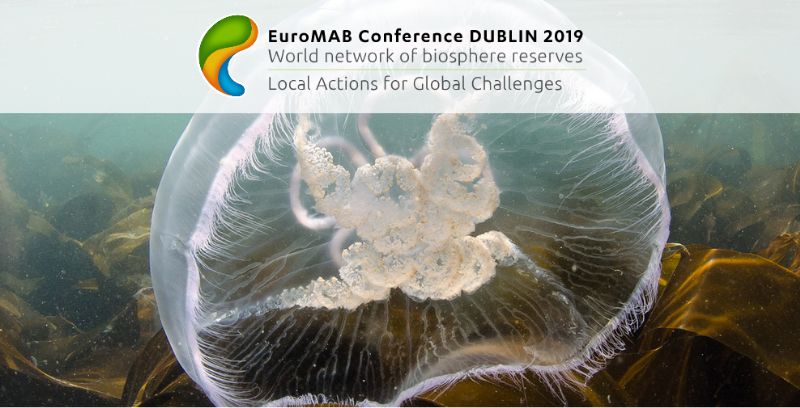 The April 2019 EuroMAB Conference in Dublin (2-5 April 2019) set the stage for members of the Zero Plastic Working Group*, including 16 Biosphere Reserves and the international research network Marine Sciences For Society, to gather along with other conference participants for the Tackling Plastic Pollution Workshop. Rooted in this workshop, we are launching a global call for Biosphere Reserves to join us in facing the challenge of plastic pollution, with the aim of minimizing the harmful consequences stemming from the abusive use of plastic. In line with this year’s EuroMAB Conference theme, “Local actions for global challenges'' We, the participants in the Tackling Plastic Pollution Workshop, outlined a set of challenges and actions for Biosphere Reserves committed to joining in on efforts for reducing plastic pollution in policy spheres ranging from the individual to the collective, such as educational institutions, families, and governments. We call upon each Biosphere Reserve to lead by example and set in motion a collective local process for facing this global threat that is open to and encourages institutions, social entities, and all citizens to contribute to answering the Zero Plastic challenge. We established a road map for channeling these efforts at a network level. The Zero Plastic Working Group has committed to developing web tools and a collaborative networking method for maintaining effective communication and exchange of practical actions, experiences, assessment, and results based on 5 key principles: Make it simple; Take it easy; Lead by example; Turn off the tap; Enough is enough. From the first steps taken with the island of Lanzarote 10 years ago, the Zero Plastic Working Group was launched in May 2018 during the World Network of Island and Coastal BR meeting in Menorca. Now, following the Dublin Commitment made during the April 2019 EuroMAB Conference , We call for an ethical and collaborative process rooted in local community values to confront the increasing impacts of plastic pollution on biodiversity and human health around the world, in the atmosphere, oceans, freshwater, and terrestrial systems, as a direct consequence of increasing plastic production. United by collective responsibility and the desire to share results from cutting-edge research and local action, we invite Biosphere Reserves individually, along with each of the existing Biosphere Reserve networks and UNESCO as a whole, to lead the growing call of concern about plastic pollution and raise Our voice as a global network of Biosphere Reserves to spread this emerging awareness and take action: Enough is enough. *The inaugural Zero Plastic Working Group members include the following Biosphere Reserves: Archipelago Sea Area, Blekinge Archipelago, Cat Ba Archipelago, Commander Islands, Fuerteventura, Gran Canaria, Isle of Man, Jeju, La Hotte, Lanzarote, Menorca, Ometepe, Palawan, Península de Guanahacabibes, Terres de l’Ebre, Urdaibai, and the international research network Marine Sciences For Society.